The Gloucestershire Old Spots is a black and white breed that is predominantly white in colour. In recent years, selection has been towards less black and now only a spot or two are usually found. The breed also has a heavy drooped ear. Gloucestershire Old Spots originated in the Berkeley Valley region of England and have now spread throughout the UK. The origin of the breed is unknown but is probably from the native stock of the area along with introductions of various breeds. In 1855, Youatt and Martin mentioned there was a native stock in Gloucestershire that was of an unattractive dirty white colour. 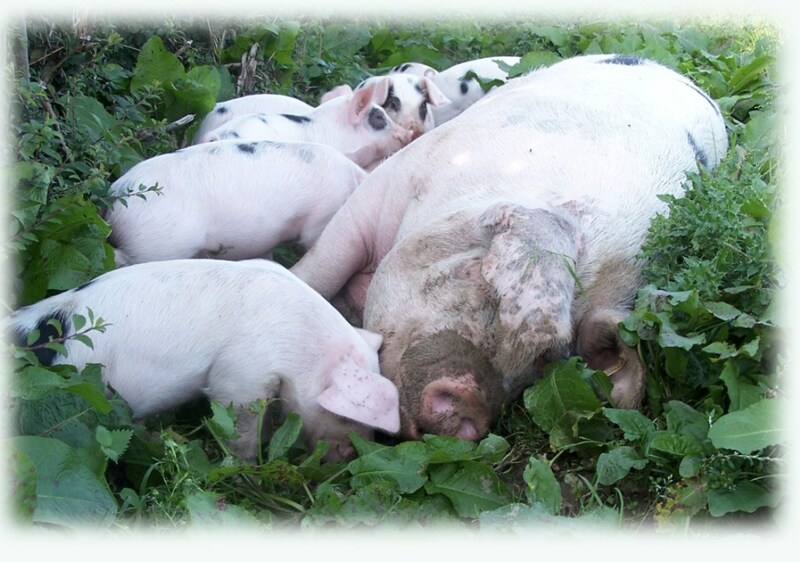 The Old Spots are among the large size pigs in England. At one time, they were called the Orchard Pig because they were partially raised on windfall apples and whey - waste agricultural products of the area.